We are at the greatest inflection point in storage since the inception of the beast pictured below, the worlds first commercial hard drive in the form of the IBM RAMAC. I am of course speaking of flash storage, this challenges a lot of conventional DBA wisdom. 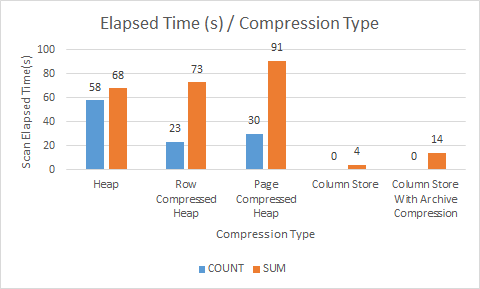 The graph provides the perfect illustration of the problem that row and page level compression is desgined to solve: the performance disparity between spinning disks and modern CPUs. 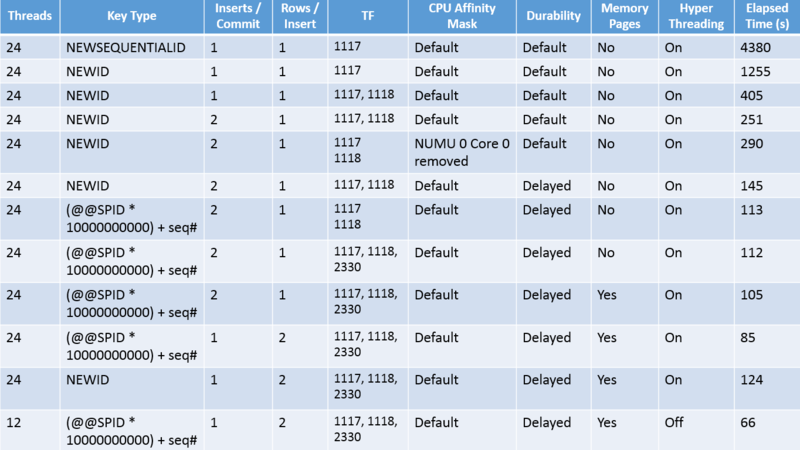 This table is borrowed from my blog post on singleton inserts, after experimenting with different key types and various ‘Tweaks’ as documented below, I managed to insert 727,272 rows per second, and how was the storage configured for this ?, everything was stripped across a Fusion IO drive and two conventional SanDisk solid state drivers . . . no separation of tempdb, transaction logs etc whatsoever. When configuring HBAs on the host, ensure that the Queue Depth is set to an optimal value. SQL Server applications are generally I/O-intensive, with many concurrent outstanding I/O requests. As a result, the default values for Queue Depth on HBAs are usually not high enough to support optimal performance. Currently the default value for the major HBA vendors is in the range of 8 to 32. 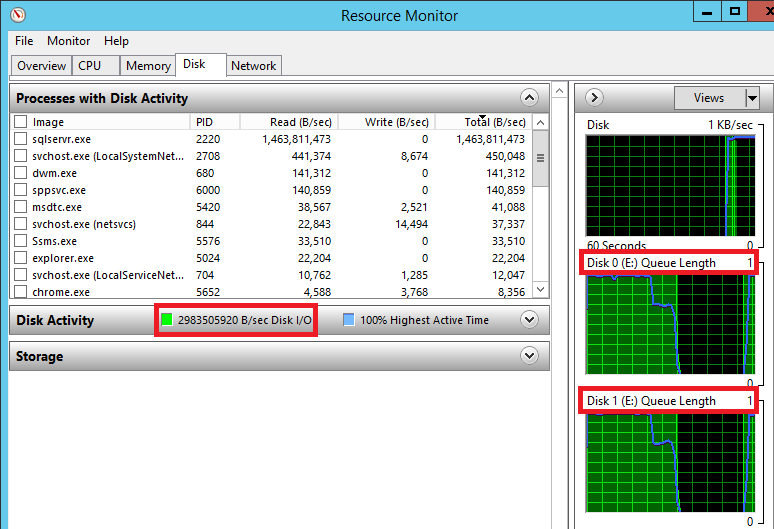 In our SQL Server testing, we have seen substantial gains in I/O performance when increasing this to 64 or even higher. 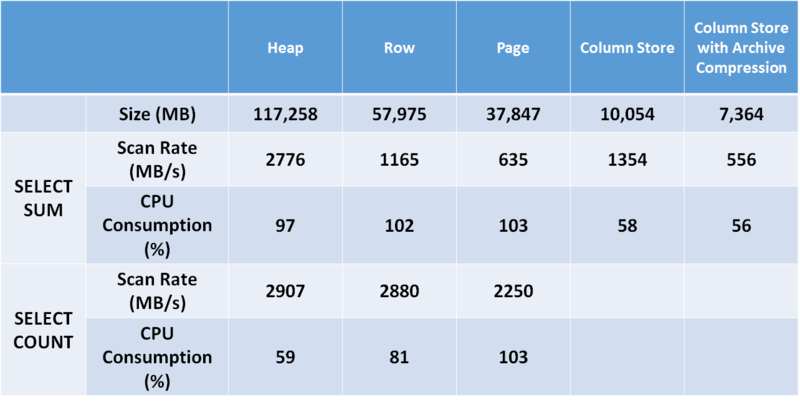 It is worth noting that in these tests SQL Server was usually the only application using the storage array. It is important to discuss with your storage administrator the appropriate values for this setting, as the setting may affect other applications in sharing the same storage environment. When Queue Depth is set too low, a common symptom is increasing latency and less-than-expected throughput given the bandwidth between host/storage and the number of spindles in a particular configuration. Flash PCIe cards do not require high queue depths in order to deliver near peak IO throughput, the screen shot below comes from a parallel full table scan of a heap on my iodrive 2 duo, the card is rated at 3GB/s for sequential reads, 2845MB/s is being achieved with a queue depth of just 1. Looks like from this analysis that lun failure would be the only reason to separate the user database files/system databases and tempdb to different luns. Even with a LUN and most popular SANs the LUN is carved out of a pool of disks and you have no control over seggragating IO down to spindle level. Joe Chang has a good blog on his experience of using a Violin Memory array and the fact that checkpoints have no effect on latency (if I remember it correctly) I would wager that making special provision for logs, tempdb etc has no effect on what that gives you either. Very true. You get what the SAN guy gives to you which may look like a new lun but it is just another slice from the same pie. I hate SANS in their current incarnation with a passion, you struggle to get low latency writes to your transaction logs, they crumble under heavy random IO, you often run out of IOPS before you run out of storage capacity. When the market has fully transitioned to all flash arrays, this is when SANS will fulfill their value proposition, then the focus of the DBA will change from tuning for IO and tuning around IO, to looking at where CPU cycles are being burned.